Welcome to Fort Fremont Marine. Fort Fremont Marine was established in 1969 by Dave & Joan Thomson, and the Thomson Family along with the help of our great staff is still taking care of business. From day one, we have been a family oriented business that strives for straightforward honesty and integrity. Our reputation for first class service and quality products has given us the slogan "Speciality Boats & Special Service". Years ago we realized that we could not represent everything for every customer. It only made sense to concentrate on what we know best, and that was waterskiing, high-performance boats, Crest pontoon boats (we may be the oldest Crest Dealer in Wisconsin), and the accessories and service that went along with it. In the early years we also were a dealer for Mercury, Bolens and Chaparral snowmobiles. Eventually they all went out of business and we promised ourselves that we would never get back in the snowmobile business UNLESS we could become a Polaris Dealer. In the late 80's a local Polaris dealer decided to close up shop and we took that opportunity to become a Polaris Dealer. As time progressed our staff grew and as our knowledge and experience evolved, we felt it was time to offer a line of quality fishing boats, and Tuffy Boats definitely fill that niche. Waterskiing has always played a big role in our success. Our location is right on the Wolf River which allows us and our customers the opportunity to test just about everything we sell on the water. We became the place to go in Central Wisconsin for any and all things regarding waterskiing. 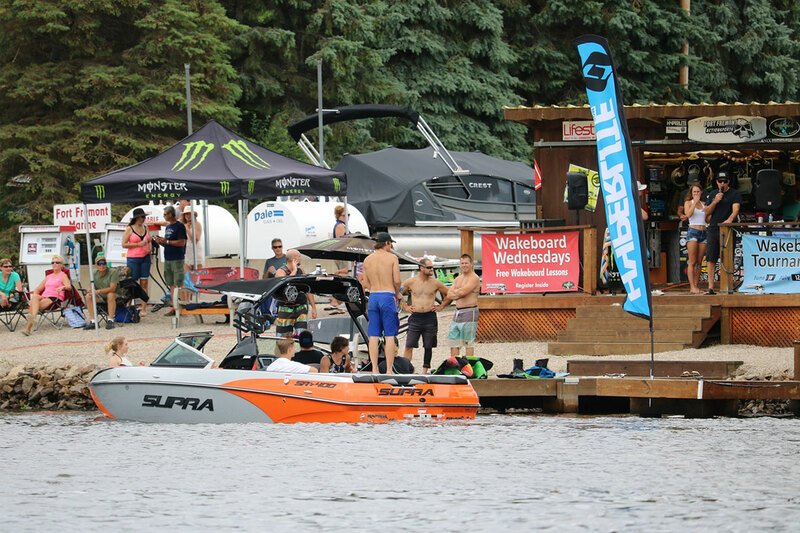 Since then the sport of Wakeboarding has exploded into a huge part of our business, including boats by Correct Craft & Moomba and a very knowledgable "hands on" Wakeboard/Waterski Department. Thanks for visiting us on-line. Please stop by next time you are in the neighborhood. Fort Fremont Marine provides superior customer service and has an entire team that consists of professional sales members, finance experts, service technicians and a knowledgeable parts and accessories staff to support you, our valued customer. We pride ourselves on having well-trained experts that strive for customer satisfaction. Come in and visit our friendly, reliable and experienced staff. Fort Fremont Marine offers the newest models including Crest, FLOE, Hewitt, Mercury, Moomba,& Polaris, Supra and Tuffy Boats. Our location is complete with service, parts and sales departments. We will help you maintain your ATV, boat, cargo trailer, outboard, snowmobile or UTV so that it runs for years. If it is having problems, we can diagnose and repair it! Schedule your service appointment today. Our parts department also has the largest selection of high quality Crest, FLOE, Hewitt, Mercury, Moomba, Polaris, Supra and Tuffy Boats parts and accessories in the area. Fill out a parts request form to see if we have the part in stock. If we don't, we'd be more than happy to order the item for you! Fort Fremont Marine is conveniently located near the areas of Appleton, Green Bay, Wausau, Oshkosh and Fond du Lac.